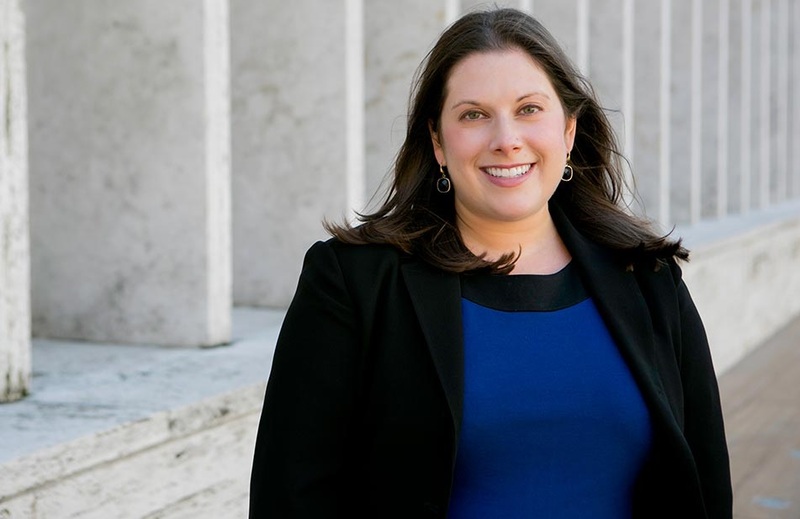 Ilana Simon Rubin has more than 15 years of experience implementing strategic institutional communications campaigns for cultural and educational organizations. Since joining Resnicow and Associates in 2002, Ilana has provided strategic guidance and media relations for some of the country’s leading museums, performing arts institutions, and foundations, including the High Museum of Art, the Denver Art Museum, the Indianapolis Museum of Art, the AT&T Performing Arts Center, Opera Colorado, the Bonfils-Stanton Foundation, Ford Motor Company Fund, and United States Artists. Based in Denver, Ilana worked in R+A’s New York office from 2002-2009 before moving to Colorado. She is a member of R+A’s executive management committee and leadership team. Ilana has been integrally involved in the launch of new cultural institutions, such as the Institute for Contemporary Art at VCU, the Anderson Collection at Stanford, the Kauffman Center for the Performing Arts, and the Nasher Sculpture Center, as well as with major new building and expansion projects at leading museums and performing arts centers across the country. She also has extensive experience leading international communications campaigns for La Biennale di Venezia, in both the art and architecture exhibitions, including for the U.S. Pavilion in 2017, 2015, 2013, 2011, and 2010. Ilana has also led programs for major universities, such as Stanford University, the Massachusetts Institute of Technology, and Virginia Commonwealth University to promote their various arts initiatives to audiences in the region, nationally, and internationally. Ilana has led media relations and strategic planning for notable new building and expansion projects across the United States, most recently the Institute for Contemporary Art at VCU, designed by Steven Holl Architects (April 2018). She also led institutional communications campaigns to open the McMurtry Building for the Department of Art & Art History at Stanford University, designed by Diller, Scofidio + Renfro (2015); Kansas City's Kauffman Center for the Performing Arts designed by Moshe Safdie (2011); and Dallas’ AT&T Performing Arts Center (2009), with new venues designed by Foster + Partners and REX/OMA, Joshua Prince-Ramus (Partner in Charge) and Rem Koolhaas. Ilana also worked on the opening of the High Museum of Art’s expanded campus (2005), designed by Renzo Piano, as well as the opening of the Nasher Museum of Art at Duke University (2005), designed by Rafael Viñoly. At La Biennale di Venezia, Ilana led the U.S. Pavilion campaigns for the Rose Art Museum/Baltimore Museum of Art (2017 - Mark Bradford), MIT List Visual Arts Center (2015 - Joan Jonas), The Bronx Museum of the Arts (2013 - Sarah Sze), the Indianapolis Museum of Art (2011 - Allora & Calzadilla), and for the High Museum of Art at the 12th International Architecture Exhibition (2010). In addition, Ilana worked on U.S. media relations for the Russian Pavilion at the 52nd and 53rd International Art Exhibitions (2007 and 2009). For five years, Ilana was also actively involved with management and strategic planning of arts and culture programs for Ford Motor Company Fund, including The Silk Road Project with Yo-Yo Ma and the groundbreaking hemispheric exhibition and community outreach project "Retratos: 2,000 Years of Latin American Portraits." She also worked for several years with United States Artists offering both strategic counsel and media relations in support of their annual USA Fellows announcement. Ilana has also provided media relations and strategic counsel for clients including the Denver Office of Cultural Affairs; The Clyfford Still Museum; The Bronx Museum of the Arts; the Pérez Art Museum Miami; the San Francisco Museum of Modern Art; the John and Mable Ringling Museum of Art; the Apollo Theater; The Laboratory of Art and Ideas at Belmar in Lakewood, Colorado; the Skirball Cultural Center; the Phillips Collection; and the Museum of Contemporary Art San Diego. Ilana holds a bachelor of arts in public policy studies from Duke University, with a minor in art history.